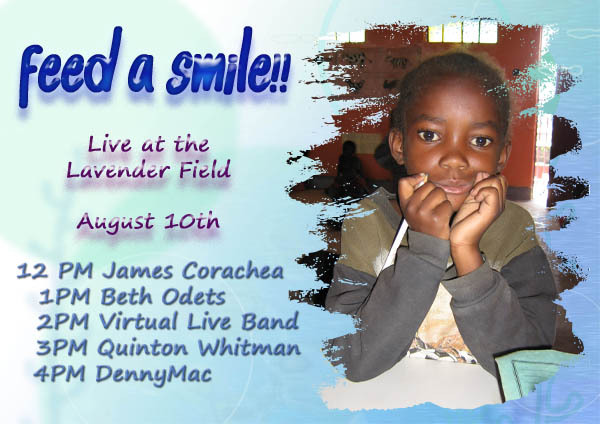 Feed a Smile: Kicking Off the Weekend in Style! Well, then there's Beth... Besides being a fabulous fiddler on the roof and elsewhere - she is so funny she'll knock you right of the roof. And then comes DennyMac – swoon – swoon – swoon... Hold on to your ladies guys! All in all – not an event you’ll want to miss. 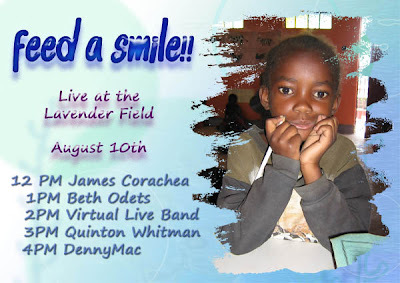 So, jump on over to the Lavender Field and BE the difference – and have a great time doing it!! !